What size radiator do I need for my conservatory? For most rooms in your house, choosing the radiator sizes you need is a simple matter of using our radiator wattage calculator to work out the total wattage required to heat the room effectively. However, conservatories need a lot more power than standard rooms because their insulation is much poorer; heat escapes much more quickly though glass than it does through insulated brick walls. The rate of heat loss for your conservatory will depend on the total surface area of glass and the type of glass used: double or triple glazed conservatories will retain heat much more effectively than single glazed conservatories. For this reason we recommend speaking to our sales team before purchasing conservatory radiators. They will give you expert advice on the best size radiators for your conservatory, along with a free, no-obligation quote. Why are conservatories difficult to heat? The glass walls of your conservatory allow you to enjoy the beauty of your back garden all year round – but they do very little to insulate the room. Whilst the walls in the rest of your home might be at least 30cm deep with an outer shell of bricks, a layer of foam insulation, an inner shell of masonry brick and a coat of plasterboard and paint, your conservatory windows will typically be only 3.5cm deep. The poor thermal properties of glass cause heat to leak from your conservatory much faster than from better insulated rooms, requiring your heaters to work much harder to top up lost heat. What makes electric radiators a good choice for conservatories? 1. 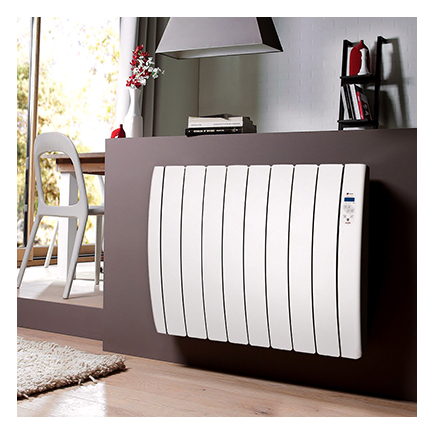 Electric radiators work independently from the rest of your heating system. This is extremely desirable when you’re heating a conservatory because it has very different heating requirements to the rest of your building. You may not want to use the conservatory all year round, and you will not want to waste energy pushing heat into this hard-to-heat area unless you intend to use the room. Central heating systems do not offer the controllability necessary to manage the complex heating needs of a conservatory at the same time as the rest of the house: the conservatory will either be under-heated or the rest of your house will be heated to an unnecessarily high degree. 2. 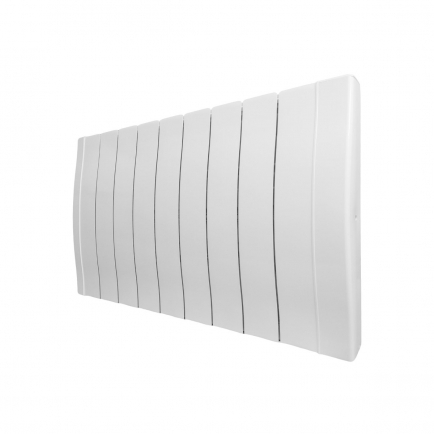 Electric radiators are an excellent retro fitting option that can even be fitted DIY. If you’re adding a conservatory onto an existing house, extending your central heating system can be a messy, expensive and time-consuming process. Installing electric radiators, by comparison, is a quick and easy job that won’t cost you a penny. You will already have had your electrics extended into the conservatory to fit plug sockets for your appliances. 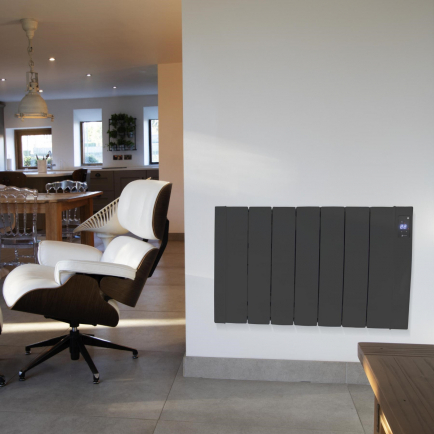 3.Electric radiators are available with a wide range of heating elements, some of which are particularly suitable for heating conservatories because they push out heat at a higher intensity which can help compensate for the faster rate of heat loss through the glass walls. 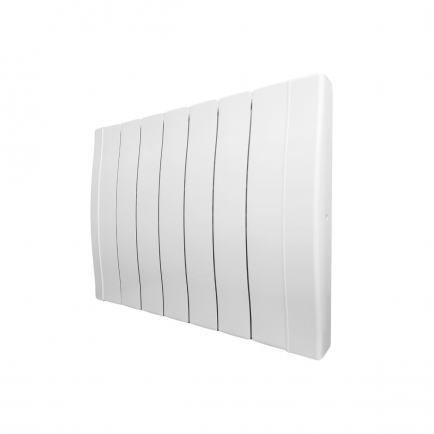 Our Haverland Inerzia Electric Radiators are designed for rooms with high ceilings, but they work equally well in conservatories where their lightweight ceramic stone heating elements provide an energy efficient means of maintaining comfort temperatures. Should I use an electric radiator or a panel heater in my conservatory? 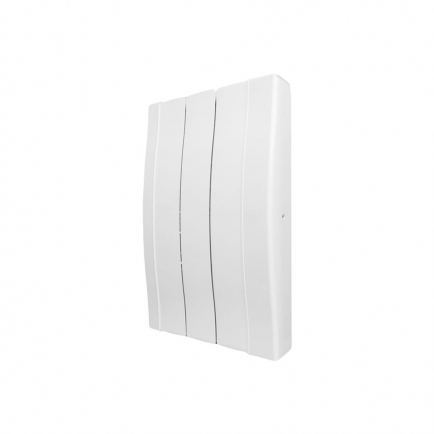 Panel heaters are low budget convection heaters which can provide an alternative to electric radiators in rooms you use less frequently. Less efficient than electric radiators, they can nevertheless provide a useful boost of heat in rooms where you do not need a permanent heating solution. An electric panel heater can be useful if you usually only use your conservatory in the summer, or you use your conservatory as a home gym. However, the higher running costs associated with panel heaters will only make them an economical choice for occasional heating. 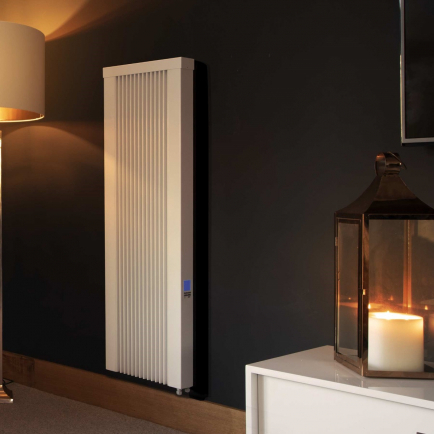 For a permanent conservatory heating solution that you use regularly for long-term comfort temperatures, always choose an electric radiator. How do you install conservatory electric radiators? Conservatory electric radiators are easy to install. All you have to do is screw them to the wall and plug them into the nearest socket. Alternatively you can pay an electrician to hardwire the radiators into the wall. Can electric radiators fit on conservatory dwarf walls? If your conservatory backs onto an external brick wall you will be able to use any of our electric radiators to heat your conservatory. However, if, like many conservatories, the walls are entirely comprised of glass windows and doors, you may find your options are a little more restricted. 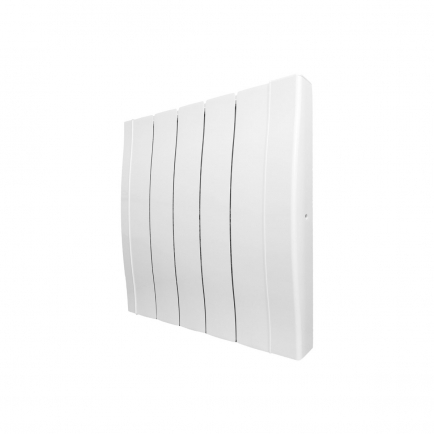 Our Haverland Conservatory RC12B Electric Radiators are specifically designed to fit on conservatory dwarf walls. At only 38cm high they fit easily beneath the window panes of most conservatories – whilst still producing 1200w of radiated and convected heat to provide efficient and comfortable conservatory heating. Another alternative, if you’re very short of wall space, is to purchase a free standing electric radiator. 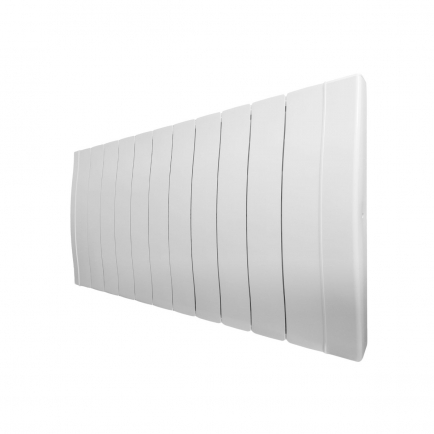 Free standing electric radiators take up a little more space than wall mounted electric radiators but they do not require solid walls for mounting, and they can be easily repositioned to suit your needs. Electric radiators are a popular choice for conservatories because they can be retro-fitted without the need to extend your central heating system. They are also energy efficient and highly controllable, with precision thermostats and 24/7 programming, so you can ensure you’re not wasting energy heating your conservatory when it’s not in use. Specialised half-height radiators designed for fitting on conservatory dwarf walls offer the perfect heating solution for those awkward conservatory spaces, whilst DIY installation and free next day delivery will save you a few pennies when it’s time to fit your radiators.